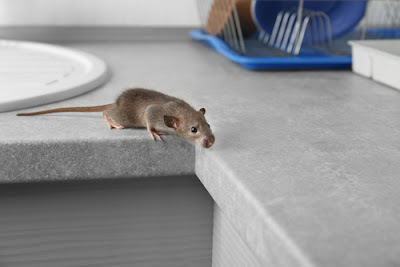 Rodents, insects and other pests can invade your home and make life very difficult for you and your family. You need to know how to keep pests out of your home and maintain a habitable environment for your loved ones. Many homeowners try their best to ensure that cockroaches and bedbugs stay out of their homes, but these pesky insects often find their way into homes to wreck havoc. You could either choose to keep pests and insects out by implementing the pest control tips offered below or wait until they invade your home before spraying them with an insecticide and calling pest control professionals. But prevention is better than cure. The cleaner your house the more pests will find it less attractive and the lesser the chances of pests living or breeding in your home. Therefore, it is advisable to always keep your house clean to maintain an environment that is less conducive for breeding pests. The number one mistake most people make is that they leave foodstuffs out in the open where pests can find them. Leftovers that are sprinkled all over the kitchen and dining room floor can make it very hard to keep insects away from your home. However, with a well-organized and maintained room you can manage to keep your house free of insects. Ensure that you pick up any food items dropped on the floor or table after meals. Food bags and boxes should also be closed to keep insects away from invading your kitchen and dining. Throw away any stale foods to reduce the insect-attraction. Insects and pests love the kitchen; this is no secret. It is where they can easily find food to feed on and breed. Keep checking and cleaning your kitchen cabinets to ensure that insects do not take advantage of the cracks to hide and breed in them. 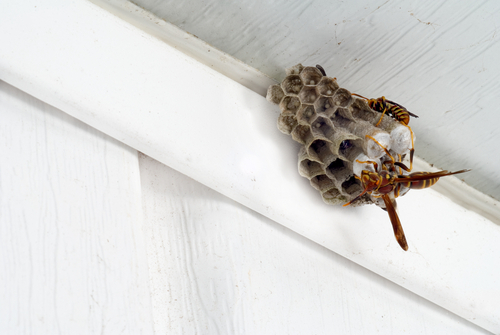 The exterior of your home can also have cracks, gaps and crevices that insects can hide in. Seal any openings that could be hiding insects to ensure pests do not find your home conducive for hiding and breeding. Insects and pests love to hide. They can wiggle through even the tiniest of cracks and gaps. Therefore, always inspect your doors and windows, and repair any broken windows and doors to ensure they fit well or do not have spaces for insects to hide. You may also purchase screen meshes with tiny holes from home stores and fit them on your windows to keep insects out. Plant and tree branches or shrubbery can touch your home and act as pest-bridges to your home. Trim them to ensure that they stay as far away from your roof and house as possible. Pine straw, wood chips, and general mulch can be an ideal shelter for insects and pests. Use rocks or stones instead, as they are a less pest-attractive ground cover. Yards, decks, garages and patios can provide an ample ground for insects and pests. Keeping these places free of litter, weeds, trash and stagnant water can help keep insects away. Your trash cans or dustbins should have clean, tight-fitting lids to discourage pests from hanging around them. Also, do clean the cans and bins, as well as the surrounding area, on a regular basis to remove spills and debris or food items, on which insects and pests feed on. These places accumulate debris and gunk, which can be attractive for insects and provide an ideal hiding or breeding ground for pests. Small flies like to hide under the sink and floor drains. Inspect, clean and maintain sinks, basements, tubs, and laundry room floors and floor drains to make them less attractive for insects. Bed bugs, mosquitoes, termites, cockroaches, bees, rats, and ants are some of the most common pests that invade and live in homes. The best way to get rid of pests is to eliminate them from the source. While you can do the spraying by yourself, you lack the professional skills and tools or methodology to get rid of pests. 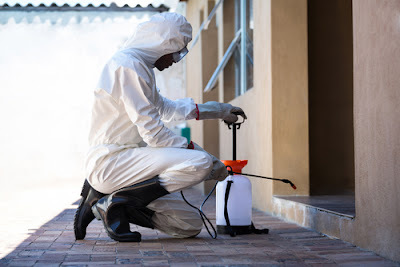 Therefore, you should contact your professional pest control services company in Singapore to help get rid of these pesky insects from your home. Having a quarterly termite inspection can significantly minimize the cost of repairs and damages caused by pests such as termites. Termite infestation can damage the wooden parts of your home and destroy its most essential structures. Hiring a pest control specialist to perform a complete assessment of any accessible areas that are potentially problematic can give you the peace of mind you need. The best part about it is that you will be provided with effective recommendations regarding the available treatment options once the inspection is complete and active termite activity is determined. This can save your home or property from massive damages to its core structures. Ants, termites, rats, and termites can greatly devalue your home or property. Apart from the costly repairs commonly associated with insect infestation, pests can result in intense frustration if not taken care of. If you see any signs of insect infestation within your property, you should contact a professional pest control services company immediately to come and restore order. Pesky mosquitoes, bed bugs, termites, ants, cockroaches, and rodents can be very frustrating. Some of them chew the wood supporting your property, thus weakening its structure. However, following the above pest control tips can help keep insects, rodents, flies and pests out of your home.